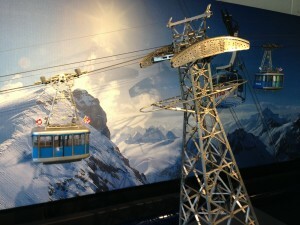 I visited Lucerne Switzerland in March. Lucerne is about 45-minutes by train from Zurich and it’s a wonderful day trip with several excellent museums and a very nice historic old city to walk around. 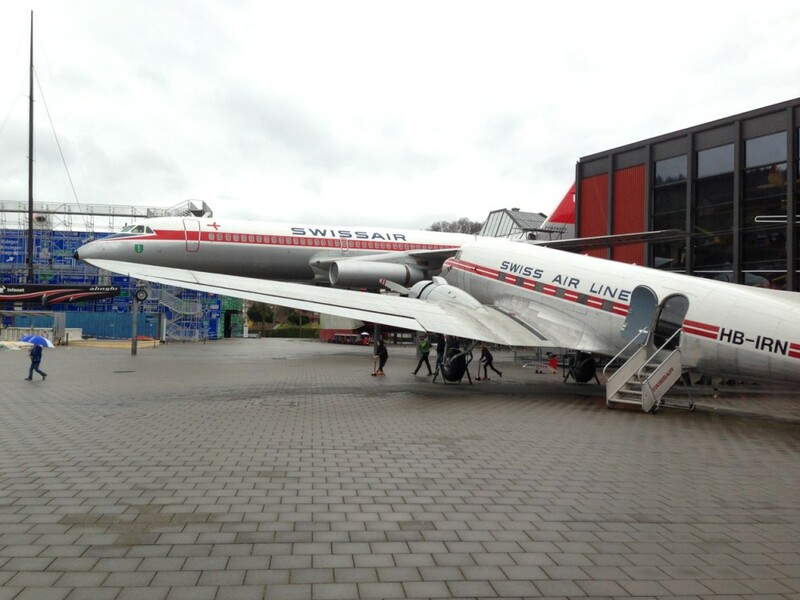 I visited one of my favourite transport museums, the Verkehrshaus (Transport House). 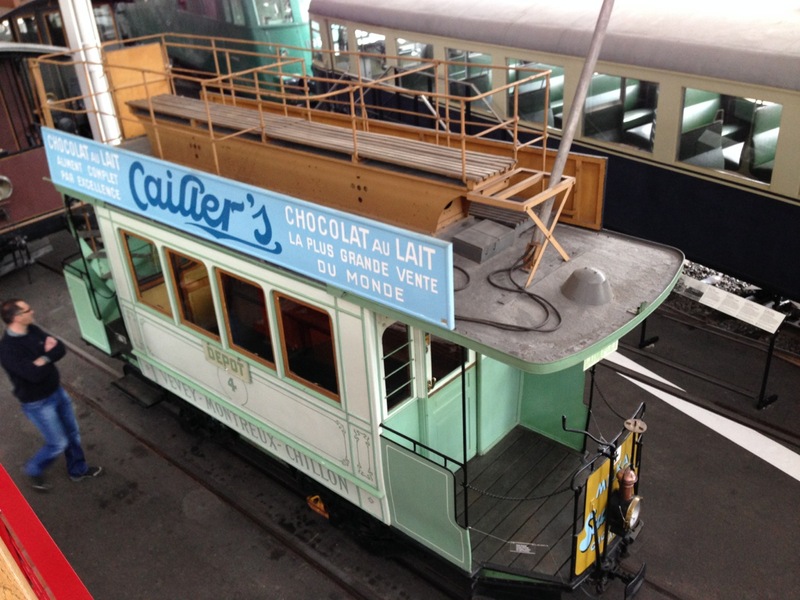 The museum has a great collection of railway locomotives and cars, trams, a couple airplanes, exhibits on cable railways, ships and more. It’s a little pricy (normal adult admission is 30 Swiss Francs, which is close to $30 now! – although they have family plans, and you can also get a discount if you use the Swiss National Railway’s Railaway program). Here are a couple photos. We discovered an excellent restaurant in Lucerne right on the river called Nix … they had excellent local microbrewery beer from Luzerner Bier (by the way, Luzerner delivers its beer by bike! ), a nice Flammkuchen and superb lamb. A great meal, and probably really pleasant to visit in warmer weather when you can sit outside in front of the river. 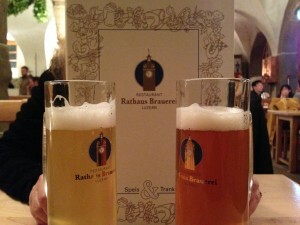 We also had a beer at the Rathaus Braueri, a traditional beer cellar in the old city hall located across the river from Nix. It was a little touristy, but it also looked like they had good beer food. The beer was quite good (see photo). 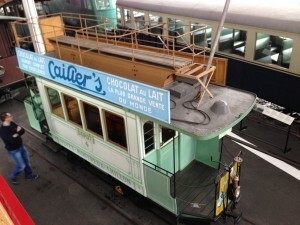 Historic tram at the Swiss Transport Museum in Lucerne. My photos of Lucerne on Flickr. My photos of the Verkehrshaus (Swiss Transport Museum) are in my Transport Museums set on Flickr use the tag: verkehrshaus.